The Conference is currently organized through a collaboration between the New Mexico Department of Agriculture’s Organic Program, the New Mexico State University Cooperative Extension Service, the NM Farm & Livestock Board Foundation, and one farmer-representing organization (rotated annually). 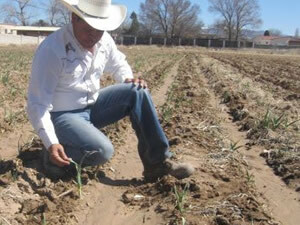 It provides producers and researchers from the Southwest an opportunity to share their experiences and expertise. The Conference offers a vast array of workshops covering many topics and makes available exhibition space for a wide range of products and services. Attendance has grown to over 650. CEUs (Continuing Education Credits) are available. The goal of the Conference is to provide a place to bring organic growers in the region together to explore and learn the unique aspects of the Southwest. The Conference also serves to reduce isolation by providing a forum to share innovative ideas and best practices.